Don’t you deserve an award-winning landscape? Then your choice is easy! Sonoran Gardens, Tucson’s recipient of multiple industry awards for excellence in design and construction! When you choose Sonoran Gardens to create and construct your outdoor living spaces, you are partnering with a company that has garnered unmatched recognition for creativity in landscape design and quality in construction from the Arizona Landscape Contractors’ Association and Association of Professional Landscape Designers…THE associations for landscape professionals and designers. 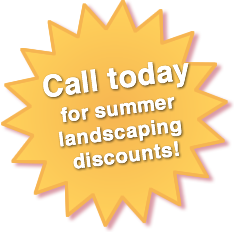 Our highly-trained landscape maintenance team can help you with the irrigation installation & repair, outdoor lighting installation & repair, lawn care, weeding, pruning & tree trimming, fertilizing and potted garden maintenance. Please see our Award Winning Landscape Gallery for more examples of our landscapes that have received awards. Whether you’re looking for an outdoor kitchen, custom designed patio, ramada, fountain, waterfall, pond, fire pits, patio walls, decorative gates, retaining walls, potted plants and potted gardens, Xeriscape (water efficient landscapes), lawns or anything else, our designers and construction team will be sure to build it just as you imagined! We’re just a call or email away and look forward to partnering with you very soon. In the meantime, we invite you to see what our customers have to say by viewing our reviews and testimonials. View award-winning design plans from Sonoran Gardens and how your home could have one too. Thank you for a careful and responsive remodel of our backyard. The quality of work is very high and we have appreciated your knowledge and suggestions. We now have a beautiful yard thanks to you. Thanks again for another especially nice job completed at our residence. We always appreciate the demeanor of your staff and the completeness of the job at hand. We thank Sonoran Gardens for completing this project on time, on budget and in a stunning manner. Thank you so much – you have been so wonderful to work with – and your care to detail is so obvious in the beautiful final result. I can hardly wait for it all to blossom away! I’m trying to put a big SMILE into this letter, because that’s what is on my face as I write this, glancing over my shoulder to take yet another look at what has happened in the yard. We feel as if we’re in an entirely new house. Thank you again for the wonderful work your team has done at our home. It has made coming home each day a pleasure. Your staff and service is absolutely amazing! Thank you again for all the wonderful work your team has done at our home. It has made coming home each day a pleasure.